Detailed report lets you see, export, and edit full details of all the time entries. You can open the Detailed report by hovering over Report in the main Clockify sidebar and clicking Detailed. What makes Detailed report special is that admins can edit and delete time entries others made (regular members can only edit and delete time entries that belong to them). 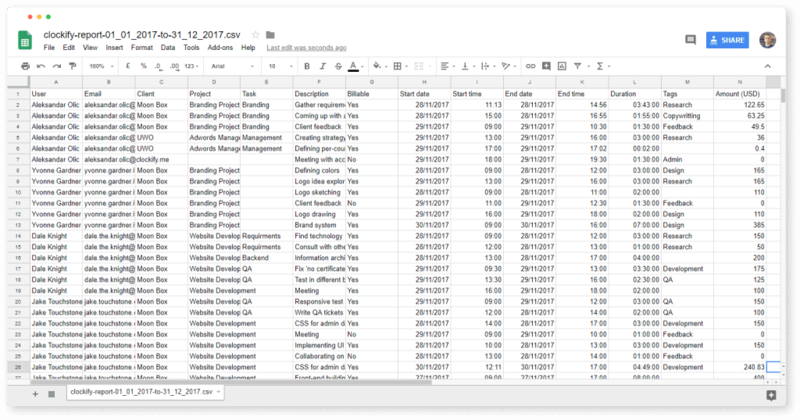 Editing time entries in the Detailed report is useful when you’re cleansing data and want to make sure all time entries are filled correctly. For example, you can use filters to see all time entries that are missing a project or a tag and add them right there. 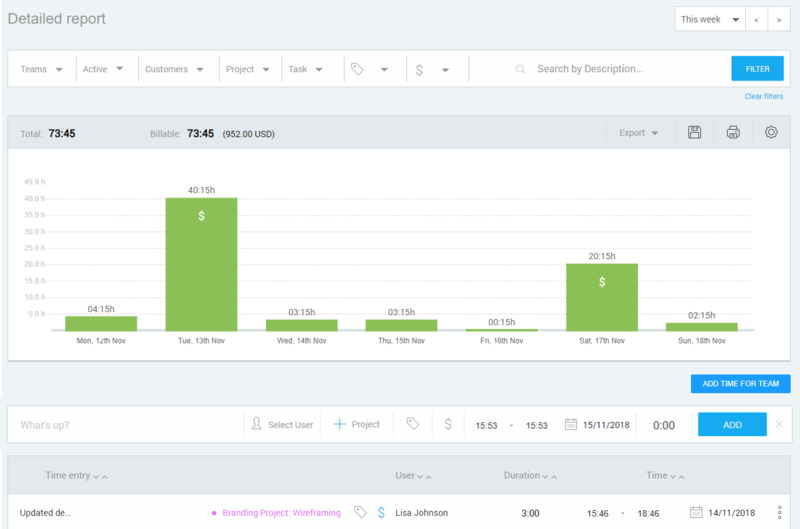 Exporting a Detailed report is useful when you need a file that contains all the details of each time entry (user, email, client, project, task, description, billability, start date, start time, end date, end time, duration, tags, amount). The export is also useful when you need more control over grouping time entries. For example, you can export your time entries in Excel file and then slice and dice data however you want. 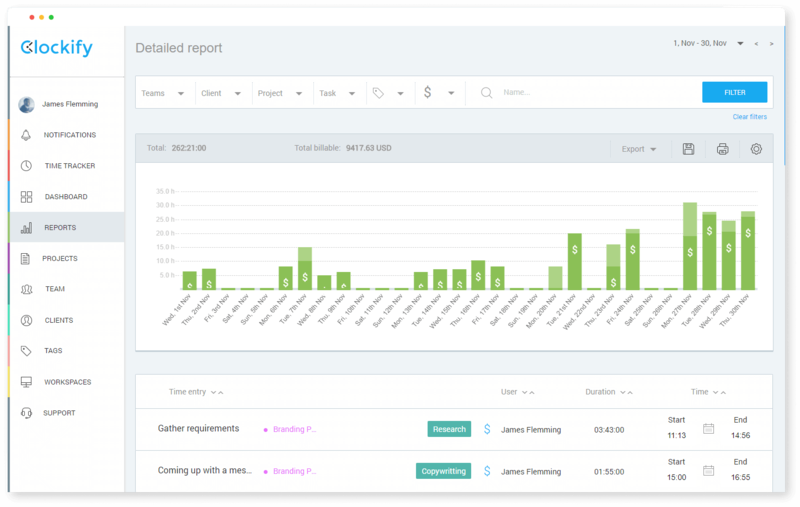 If you’re an admin, you can add time on your team members’ behalf directly from Detailed Reports page with just a few clicks.